Yale University Press, 9780300171976, 272pp. The Transantarctic Mountains are the most remote mountain belt on Earth, an utterly pristine wilderness of ice and rock rising to majestic heights and extending for 1,500 miles. 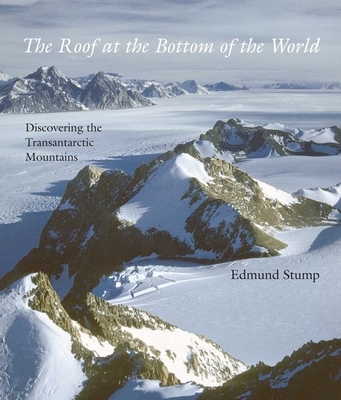 In this book, Edmund Stump is the first to show us this continental-scale mountain system in all its stunning beauty and desolation, and the first to provide a comprehensive, fully illustrated history of the region's discovery and exploration. The author not only has conducted extensive research in the Transantarctic Mountains during his forty-year career as a geologist but has also systematically photographed the entire region. Selecting the best of the best of his more than 8,000 photographs, he presents nothing less than the first atlas of these mountains. In addition, he examines the original firsthand accounts of the heroic Antarctic explorations of James Clark Ross (who discovered the mountain range in the early 1840s), Robert Falcon Scott, Ernest Shackleton, Roald Amundsen, Richard Byrd, and scientists participating in the International Geophysical Year (1957–1958). From these records, Stump is now able to trace the actual routes of the early explorers with unprecedented accuracy. With maps old and new, stunning photographs never before published, and tales of intrepid explorers, this book takes the armchair traveler on an expedition to the Antarctic wilderness that few have ever seen. Edmund Stump is professor of exploration at Arizona State University. He is also a geologist, polar explorer, mountaineer, and photographer specializing in the geology of the Transantarctic Mountains. He has served as principal investigator or chief scientist on many scientific field trips to Antarctica, most recently a 2010–2011 National Science Foundation expedition to the Beardmore Glacier area. He lives in Tempe, AZ.